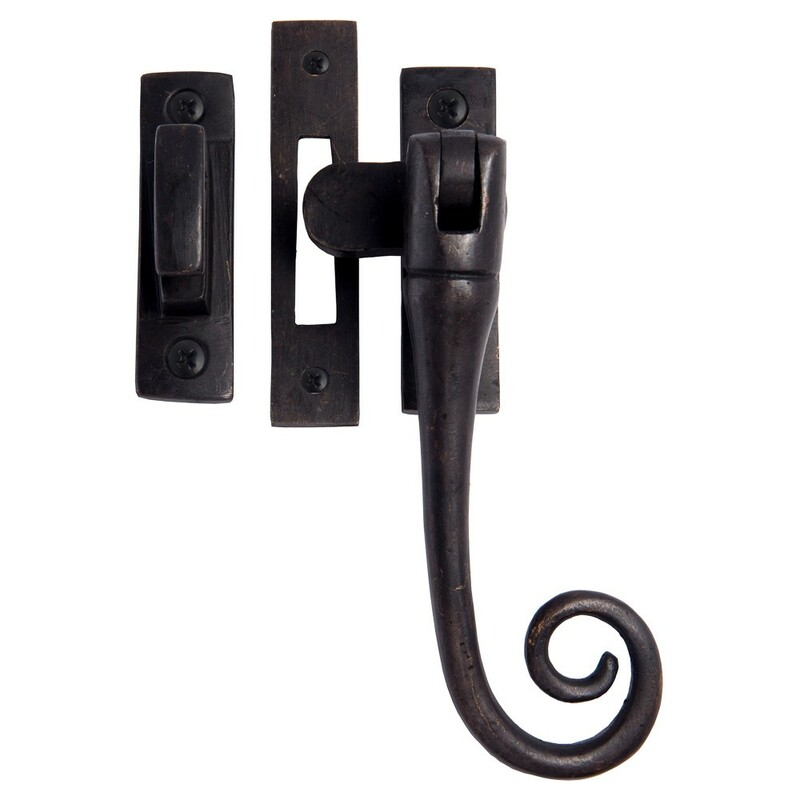 Rat-Tail Weatherseal Casement Fastener - Hot dipped in boiling oil and finished with a dark wax coating. These pieces can be left dark brown in appearance or buffed to reveal a soft brown lustre. Comes with screws.